Distinctive research deserves recognition, and in the field of enology and viticulture the American Society for Enology and Viticulture (ASEV) Best Paper Awards are very well regarded. Based on groundbreaking research from around the world published in the American Journal of Enology and Viticulture (AJEV), the Society has designated the 2013 Best Papers Awards (generously sponsored by J. 64th ASEV National Conference Sponsorship & Advertising Now Available! Showcase your company at the 64th ASEV National Conference in Monterey by sponsorship or advertising, with minimal investment for your return. With the many tailored sponsorship packages available, you can choose what is best to meet your specific needs. Click here for additional sponsorship and advertising information. The largest wine show of its kind in the Western Hemisphere, the Unified Wine & Grape Symposium broke its own record in January with 13,400 guests convening at the Sacramento Convention Center. The ASEV Merit Award is presented annually to an individual who has significantly contributed in an outstanding manner to the progress and advancement of enology and viticulture or to the Society itself. This award acknowledges excellence in the fields of education, technology, research, management, public relations or any discipline related to enology and viticulture. Call for Abstracts (PDF) – click here to download. We are pleased to offer the Call for Abstracts for the 64th ASEV National Conference in Monterey, California USA. We encourage you to submit an abstract for consideration. The American Journal of Enology and Viticulture (AJEV) has confirmed a new editorial team and announced a significant step in strategic planning. Susan E. Ebeler, of the University of California, Davis, has been appointed the enology editor. Peter Cousins, of E&J Gallo Winery, was confirmed as AJEV’s first viticulture editor in 2011. Linda Bisson, also of UC Davis, continues as science editor, but within an enhanced role of directing the vision of AJEV and expanding the content and features of the online journal. 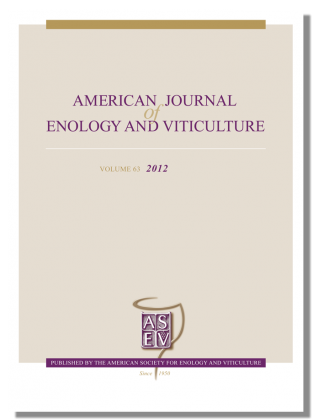 The American Journal of Enology and Viticulture has recently added two key positions to its editorial team. 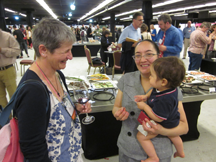 Susan E. Ebeler, of the University of California Davis, has been appointed the enology editor for the Journal. 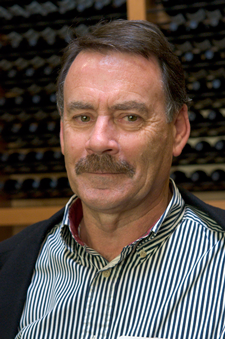 Peter Cousins was appointed to the new position of viticulture editor in 2011. Linda Bisson, also of UC Davis, continues as science editor, but within an enhanced role of directing the strategic vision of AJEV and expanding the content and features of the online journal. Leticia Chacón-Rodriguez now heads the American Society for Enology and Viticulture (ASEV) after being confirmed by the board as president. As of July 1, she leads the 12-member board to build on the success of Past President Sara Spayd of North Carolina State University. With one of the nation’s lowest levels of investment in research, the wine industry is seriously jeopardizing its ability to compete, Dr. Roger Boulton told nearly 500 professionals gathered here today at the American Society for Enology and Viticulture’s (ASEV) National Conference. The successful outcome for the 63rd National Conference at the Portland Marriott Downtown Waterfront attested to the Pacific Northwest as an ideal setting. If you attended the National Conference in Portland we ask that you take a few minutes to complete all surveys that pertain to the program events you attended. Your feedback is essential as it will assist us in future program development to provide the most relevant industry information and platform for research presentations. The session surveys will be available through July 13, 2012. Alternative Varieties Symposium, Ralph Kunkee Seminar, Themed Sessions, and more! Mark your calendars and join us June 18 – 22 at the Portland Marriott Downtown Waterfront Hotel in Portland, Oregon. The technical program includes oral and poster presentations of over 140 research reports as well as the special presentations highlighted below. Click here to learn more and review the Daily Schedule for program details and speakers. We are pleased to offer the Call for Abstracts for the 63rd ASEV National Conference in Portland, Oregon. We encourage you to submit an abstract for consideration. Registration (for the conference) and housing (for hotel rooms) ARE NOW OFFERED SEPARATELY! We recommend you book your room first and then register for the conference when registration and housing open. AJEV/ASEV is frequently contacted with requests for online posting of AJEV articles on various organizational websites. Such requests may be from authors or from other people interested in access to articles and are generally well-founded, with the goal of further dissemination of research information. In responding to these inquiries—and in our notifications to organizations that simply post AJEV articles at will—AJEV is striving for consistency and clarity. Dr. Sara Spayd of North Carolina State University was confirmed by the Board as president of the American Society for Enology and Viticulture (ASEV). She will lead the 12-member board to build on the success of Past President Patty Saldivar, St. Helena, California. Leticia Chacón-Rodriguez, winemaker at Treasury Wine Estates in St.Helena, California, was confirmed as first vice president and James Kennedy of California State University, Fresno, was elected second vice president. The California Central Coast was an ideal setting for the 62nd National Conference at the Portola Hotel in Monterey. More than 500 wine and grape industry leaders, researchers and other academic representatives from around the world attended the American Society for Enology and Viticulture’s (ASEV) 62nd National Conference. Hosted this week in Monterey, California, the conference serves as the national platform for the wine and grape industry to disseminate current research reports and seminars on technology and other themed topics of importance to the industry.